After a hot IPO, Roku Inc (NASDAQ:ROKU) was settling in below $20. Then it reported earnings in November and rallied about 50% in one day. Within three days, Roku stock was officially a double and $40 has played a significant role since. It’s also forced many investors to start taking the streaming company more seriously. But before we look at the company itself, let’s look at the stock. Roku stock did a good job getting over both its 50-day and 100-day moving averages. These two levels had been significant hurdles for the bulls in 2018. 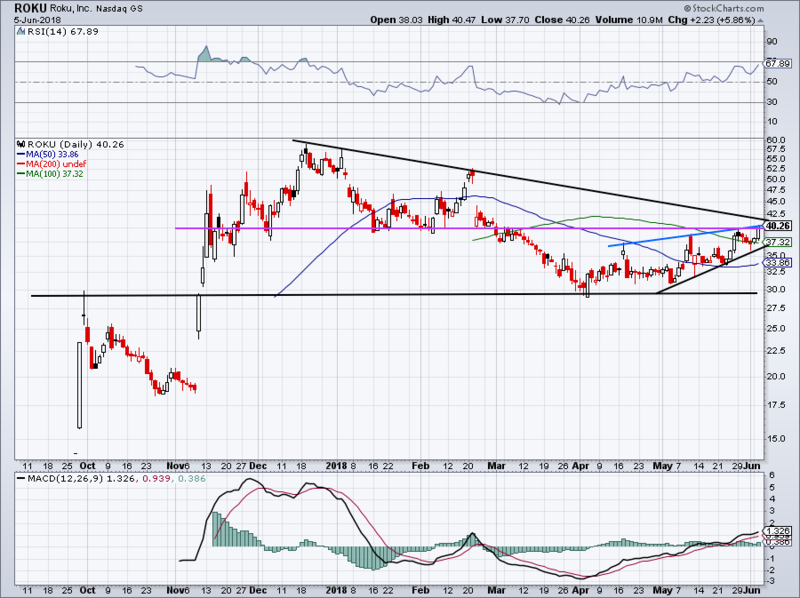 After its decline in March though, Roku stock made a very constructive move by consolidating in the low- to mid-$30s. It probably didn’t feel very constructive to the bulls, but that type of basing and consolidating is what’s necessary to digest large rallies — like going from sub-$20 to almost $60 inside of a month. With Tuesday’s 5% rally, Roku stock is perched right near $40. It’s also daring both bulls and bears to make a bet on what this impending level means for the name. And $40 itself is significant, as we can see with the purple line. But there’s recent range resistance (in blue) and long-term downtrend resistance in black near this level too. Should Roku stock push through $40, it will be a significant achievement and will make this level an easy stop-loss for the bulls. 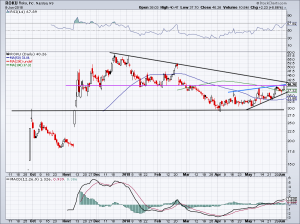 Should it fail at $40 and retreat, look for Roku stock to first find support near $37. There it’s got the 100-day moving average and recent trend-line support. In essence, it gives bulls a two-pronged attack: Either buy on a notable breakout over $40 or on a pullback to $37. Some may not discern much difference between $40 and $37, but consider that a decline to the latter would represent a decline of almost 8%. Also considering how significant the $40 level is, it could either fuel a big breakout or hold as resistance. I want to see which one it will be before putting my hard-earned dollars on the line. So what’s up with Roku the company? Given how hot streaming names like Netflix, Inc. (NASDAQ:NFLX) and iQiYi, Inc (NASDAQ:IQ) have been — the latter of which is being dubbed the Netflix of China — it’s no surprise to see Roku stock heating up. Carrying a market cap of just $4 billion, it’s a small company with lots of potential. 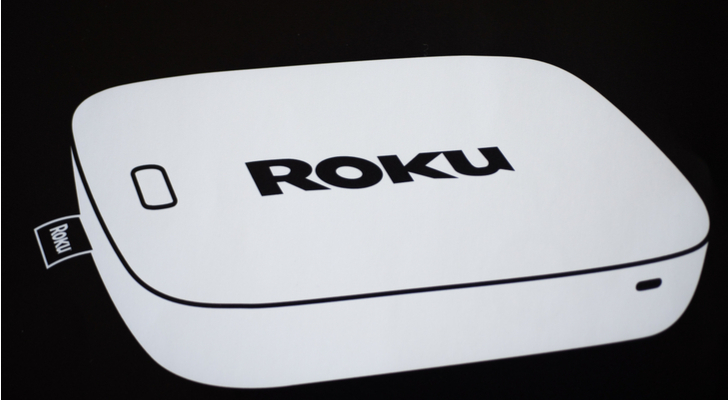 I think the biggest mistake investors are making with Roku is to assume all it does is make a streaming stick — in essence, a hardware company that makes it a piece of cake to stream Netflix, HBO from Time Warner Inc (NYSE:TWX) and Hulu from Walt Disney Co (NYSE:DIS), Twenty-First Century Fox Inc (NASDAQ:FOX)(NASDAQ:FOXA) and others. But Roku is more than just a streaming hardware company. Last quarter roughly 55% of Roku’s revenue came from software. Platform revenue more than doubled year-over-year to $75.1 million, while player (hardware) revenue slumped 3% to $61.5 million. Similarly, platform gross profit jumped 90% to $53.4 million while player gross profit fell 10% to less than $10 million. Average revenue per account jumped 50%, streaming hours popped 56% and active accounts climbed 47%. All of these stats were reported less than a month ago, so it’s no wonder we’ve seen Roku stock trading well lately. It helps that revenue guidance for next quarter and the full year came in ahead of expectations. While Roku expects to generate a loss this year, analysts are looking for a slight profit next year to go along with sales growth in excess of 30% this year and next. Roku is running a very solid business, becoming more dependent on software and less so on hardware. That’s something Wall Street loves, because of the recurring revenue and margin aspects. Analysts’ average price target actually sits at about $40 — go figure. But RBC has a target at $45 and Needham has a Street-high target of $50. Both look like reasonable targets should ROKU break through $40. Article printed from InvestorPlace Media, https://investorplace.com/2018/06/roku-inc-roku-stock-massive-breakout/.